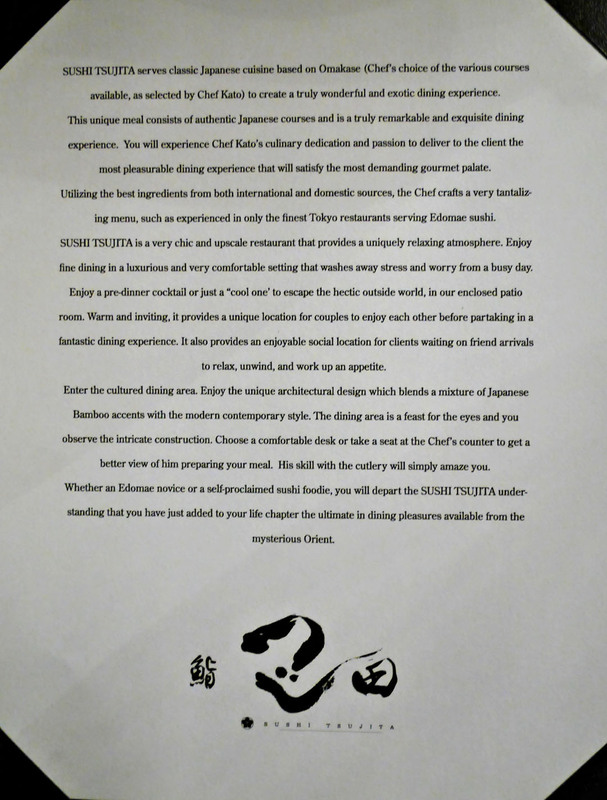 2014's most surprising sushi opening dropped on August 12th. 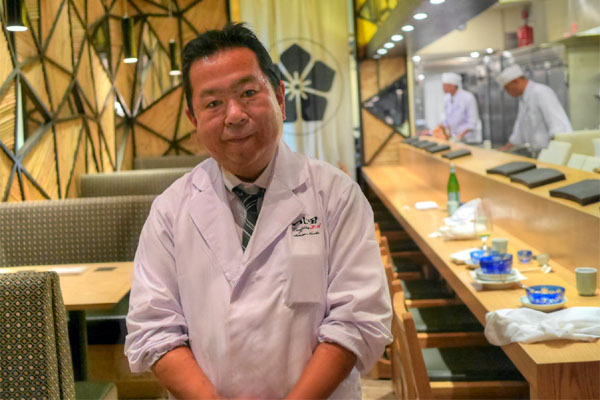 I say surprising because it comes to us from none other than Takehiro Tsujita, the man behind ramen joint Tsujita LA Artisan Noodle. Since opening in 2011, the tsukemen slanger has become one of the City's ramen standard bearers, and evened spawned Tsujita Annex across the street. 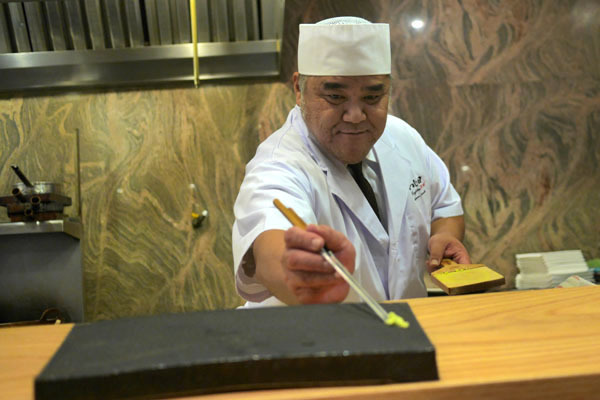 There was a third restaurant in the works, to be called Tsujita Villa, but that project has transformed into what we see today: Sushi Tsujita, an edomae-inspired, omakase-focused operation helmed by Shigeru Kato, a veteran Tokyo sushi chef who's spent a reported 35 years in the biz. The address was once home to Orris/Spaghetti House by Orris/Soba Sojibo, but has been spruced up quite a bit since then. Bamboo adorns in the walls in geometric patterns, and the enclosed area out front is now a "loungey" sitting area (replete with seemingly out-of-place chandelier). Ten seats surround the bar, while the rest of the room is lined with a handful of tables. The menu at Sushi Tsujita is pretty straightforward (and unintentionally humorous at times). Going à la carte here is possible, but the place clearly emphasizes omakase at levels of $120, $150, and $180 (our choice), with supplements possible. 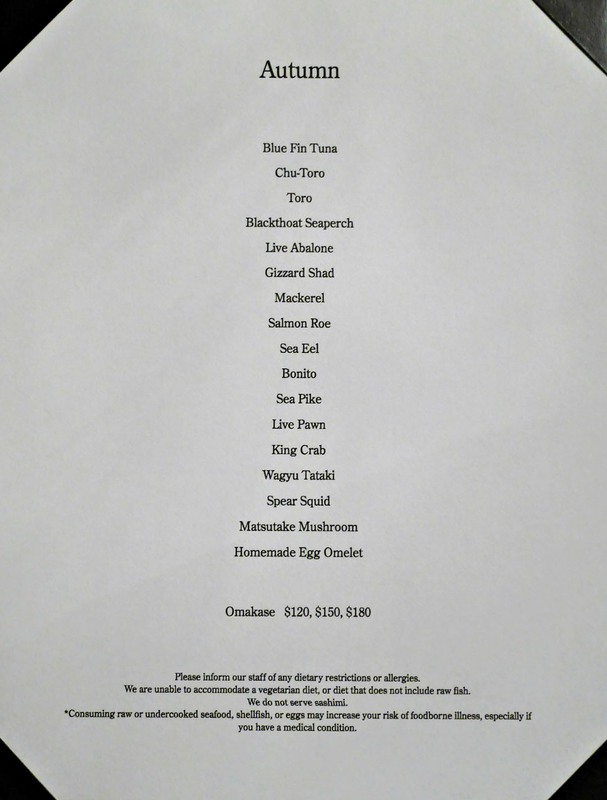 If all this seems a bit pricey, there's also a much more reasonable set lunch menu. Click for larger versions. 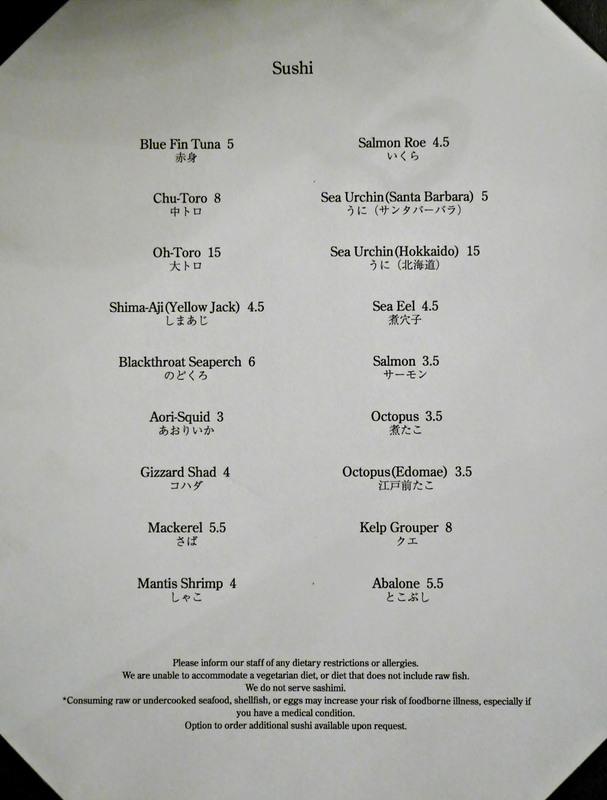 To drink, you get your requisite Japanese macro lagers, a few shochus/sakes (including the cringe-inducing $900 Dassai Beyond), and an optimistically priced wine list with a few decidedly inappropriate-for-sushi selections. 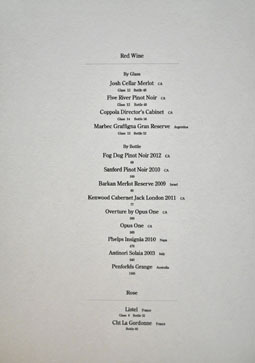 Better go with the corkage option, at a cost of $30 per bottle. Click for larger versions. 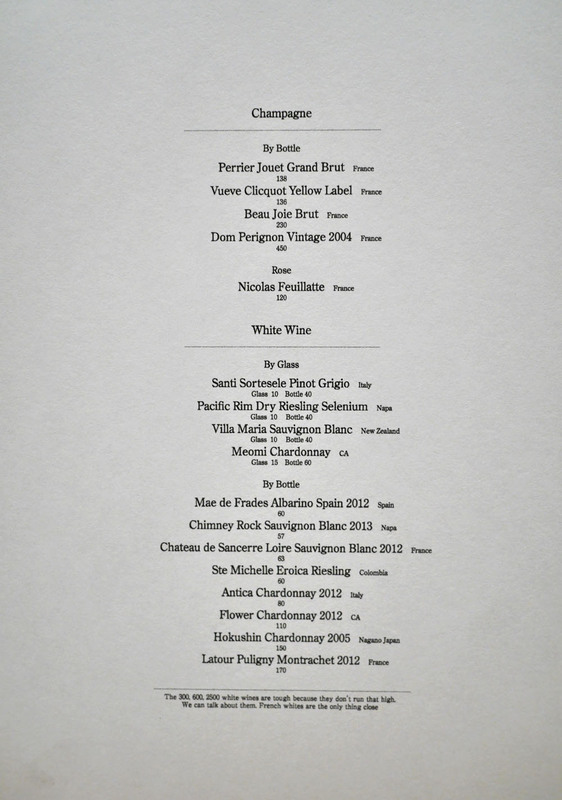 I brought along a couple 2006 Chards to compare and contrast, one American, one French. 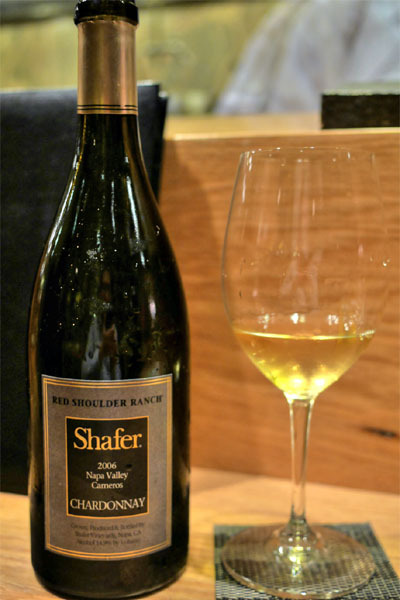 First up was the California-born 2006 Shafer Chardonnay Red Shoulder Ranch, which I purchased directly from the winery way back when I was still on their mailing list. 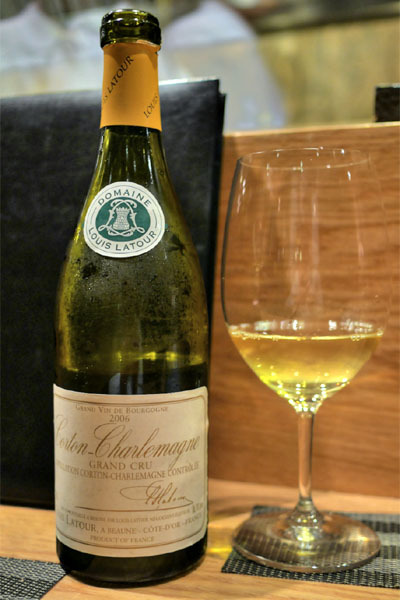 It was surprisingly youthful, and surprisingly good, a fat sort of wine with expected buttery-oak notes joined by a palpable fruitiness, the whole shebang cut by a great acidity. I think we were all really impressed at how well this held up. 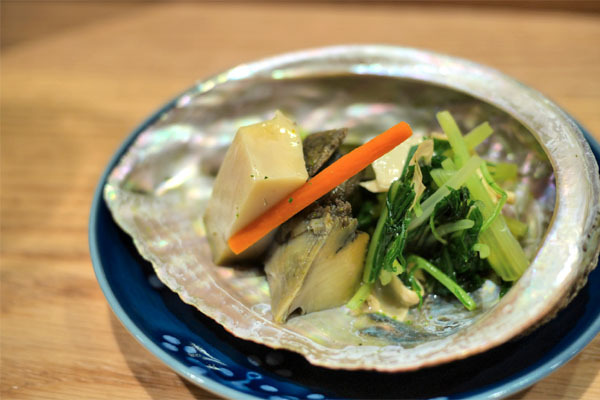 Awabi hailing from Santa Barbara graced us as the first course, a delightful presentation that showcased the abalone's meaty, firm-yet-pliant bite along with its trademark brine, which worked swimmingly with the yuba here. I was a fan of the steamed veggies as well, the greens adding a bitter, crunchy counterpoint that made absolute sense. 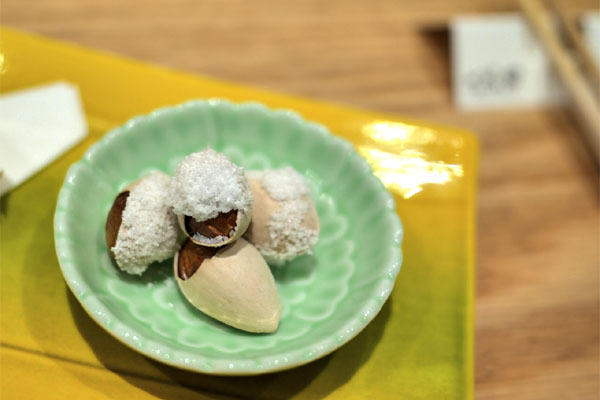 What followed was a platter of four small treats, beginning with salt-grilled gingko nuts. They were wonderful, among the best I've had, excellent texturally, with a slight bitterness to them perked up by the sharp jolts of salt present. 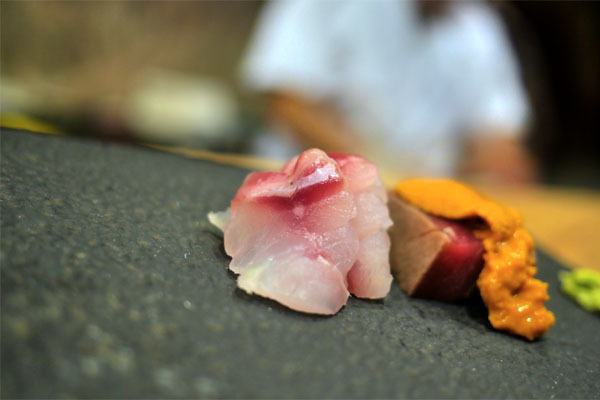 Next were three different preparations of the summer staple of sweetfish. 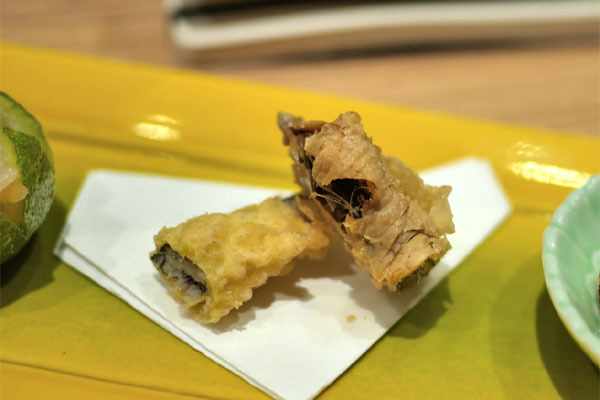 First up was a version wrapped in yuba and fried tempura style, a delicious two bites that saw the salty, savory goodness of the fish evened out by the mild tofu skin. 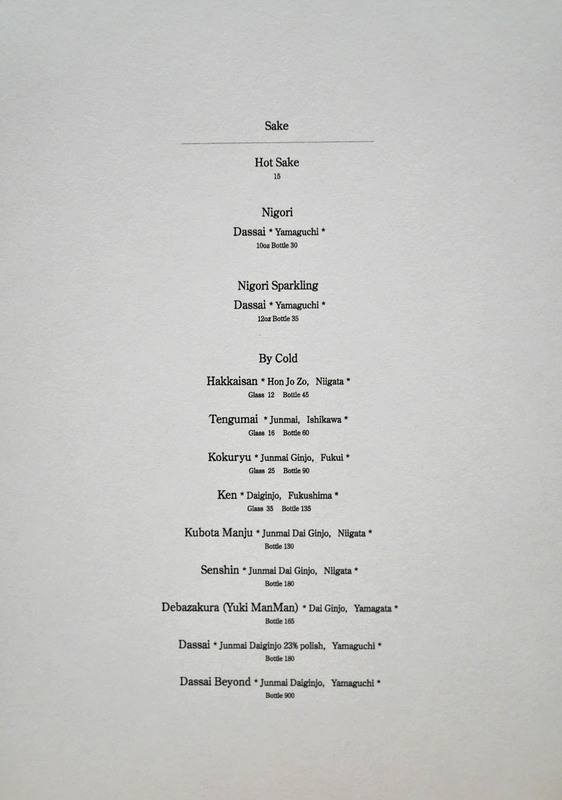 Here, ayu was marinated in a bitter spice mixture, topped with caviar, and served in a hollowed out kabosu. 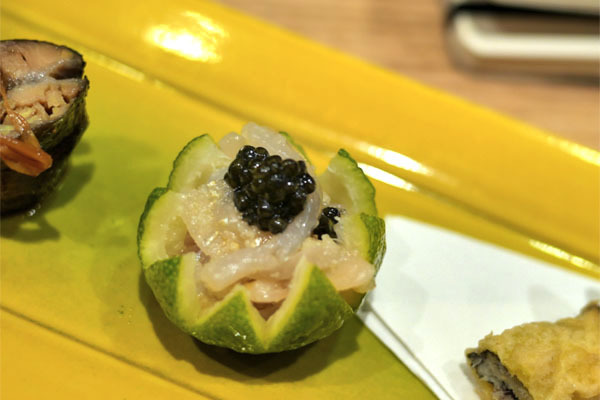 The key here was how the caviar intensified the inherent flavors of the slightly astringent fish, while citrus added great little pin points of tartness to the mix. 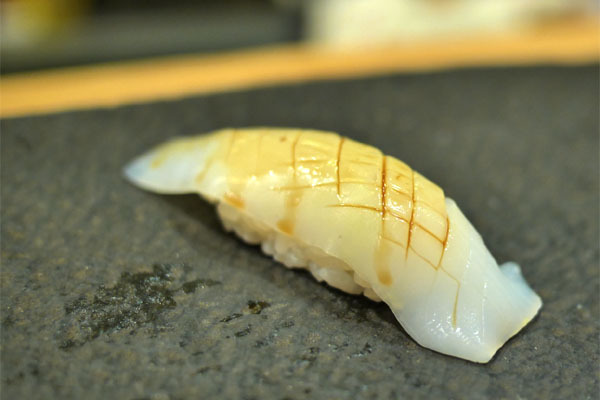 Last up was ayu simmered in soy and sake, a rich, dark, savory, and saccharine prep that really emphasized the inherent sweetness of the fish, the baby ginger providing a modicum of moderating zing. Gari was served in cubes instead of slices, a practice that I'd never seen before. 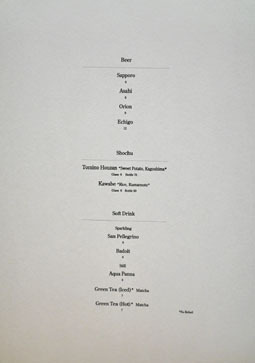 The ginger was superb texturally, recalling the juicy crunch of Asian pear. 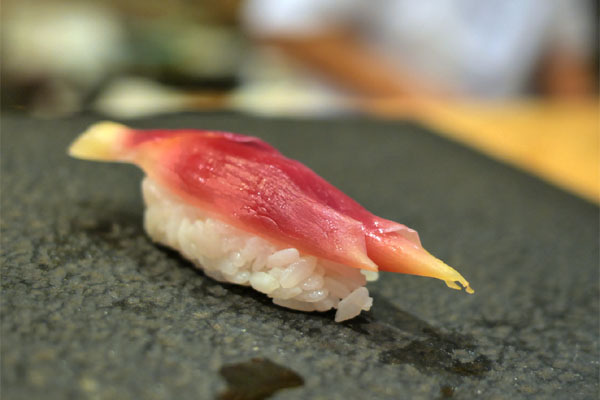 A one-course sushi detour brought out golden eye snapper (a.k.a. alfonsino), which really conveyed a wonderfully meaty, satisfying texture along with a mild savor that showcased the rice. 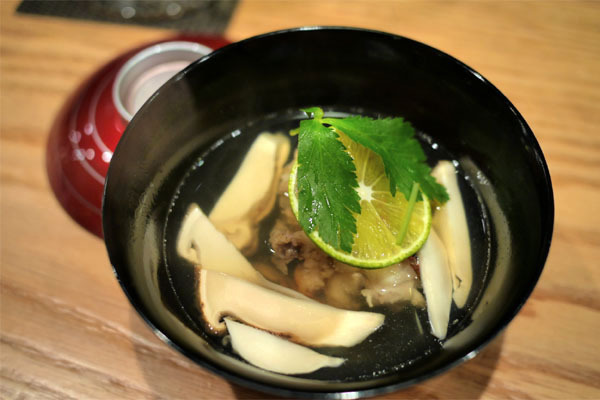 A clear rockfish soup was a heartwarming potage, the supple, flaky fish conveying a soft salinity enhanced by the woody matsutake. 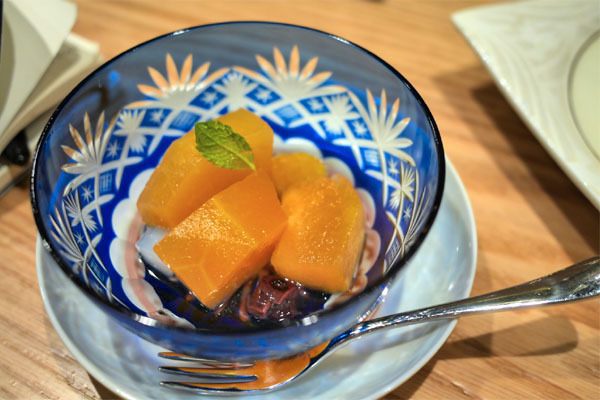 I was a big fan of the zesty mitsuba as well, and the way that the citrus imbued the broth with its tanginess was on point. 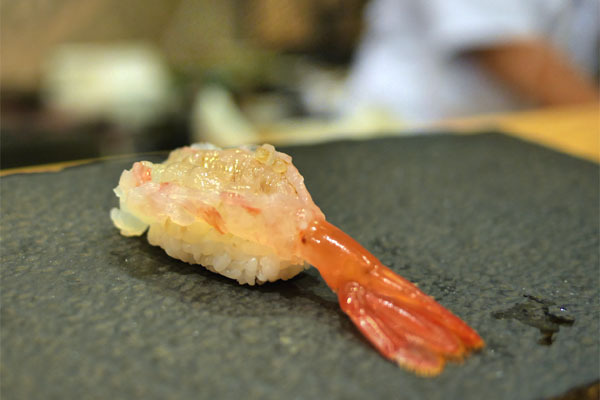 Our itamae this evening was Kazu Ozawa, who previously worked behind the counter at the nearby Shunji. Sashimi time. 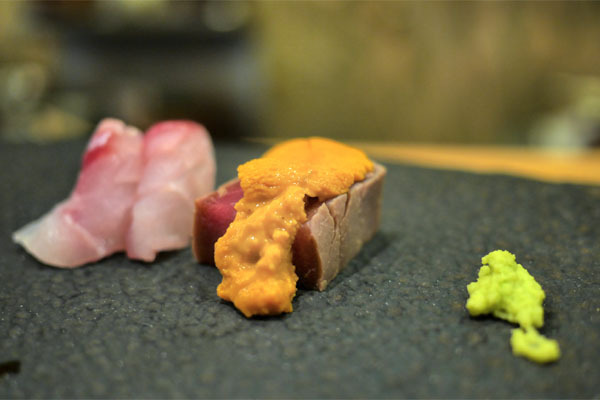 Soy-marinated tuna was lean, yet deep with umami flavors, its relative austerity playing well off of the creamy, luxurious nature of Santa Barbara sea urchin. 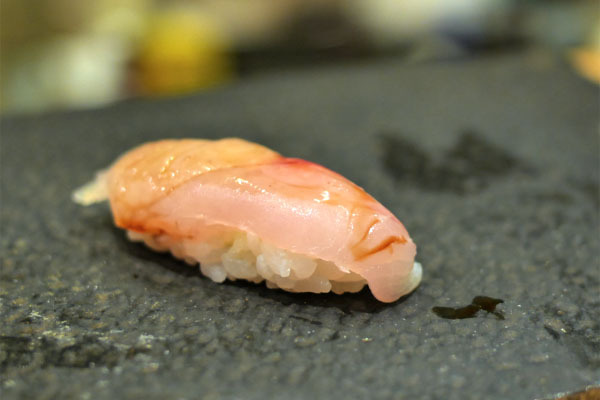 Scarlet-tinged slices of grouper, meanwhile, came out clean and crisp, a perfect setting for a dab of soy and a brush of 'sabi. 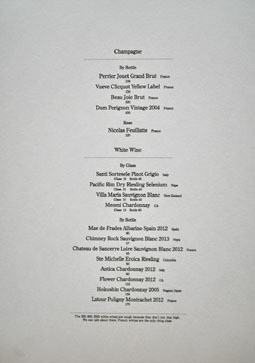 My second wine was the 2006 Louis Latour Corton-Charlemagne, a Grand Cru Burgundy. Now, I expected the Shafer to be past its prime, but the Latour I expected to be entering its sweet spot, and it didn't let me down. It was leaner compared to the Shafer, sure, but was still a fairly lush wine, with a very pleasing richness to it. Think tropical fruit, spice, nuttiness, minerality, with a more piercing sort of acidity to even things out. Quite multifaceted. 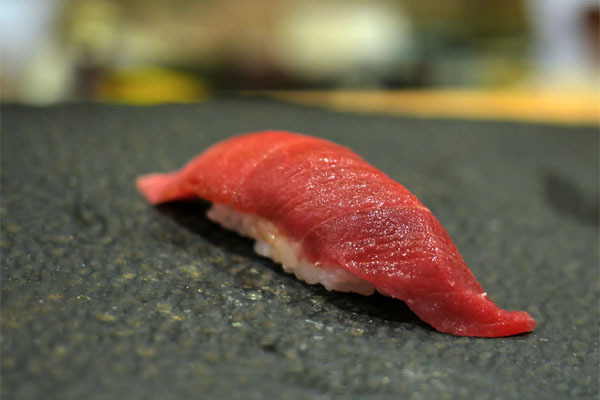 Bluefin from Boston was a beautiful hue of ruby, a melt-y, yet eminently balanced bite when taken with a bit of soy. Blackthroat seaperch was also a winner, a fatty, slightly spongy white fish that displayed a restrained, yet resplendent flavor profile. 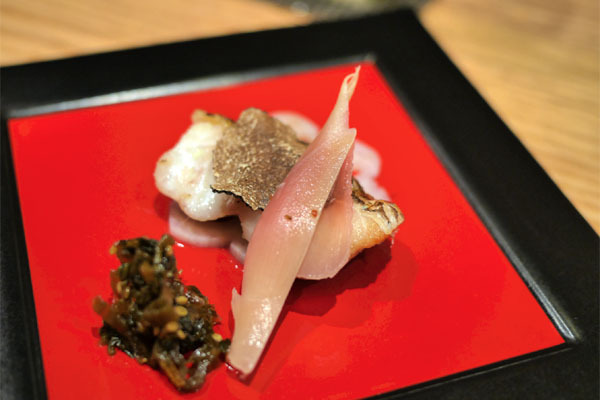 The akamutsu was certainly tasty alone, but a bit of earthy truffle, piquant myoga, and pungent mustard worked wonders here as well. 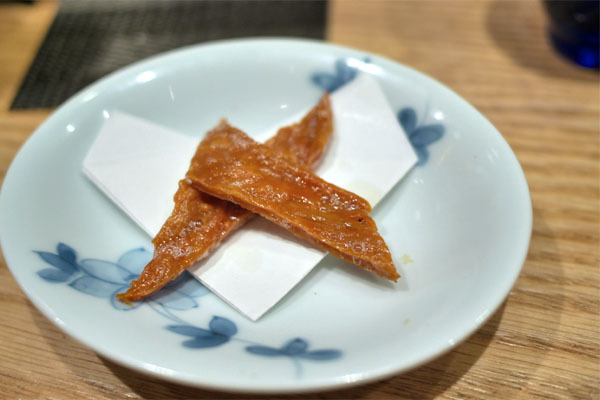 Our parade of sushi proper began with the somewhat rare sea robin, a mild-tasting, well-textured fish with a great hit of wasabi toward the back end. 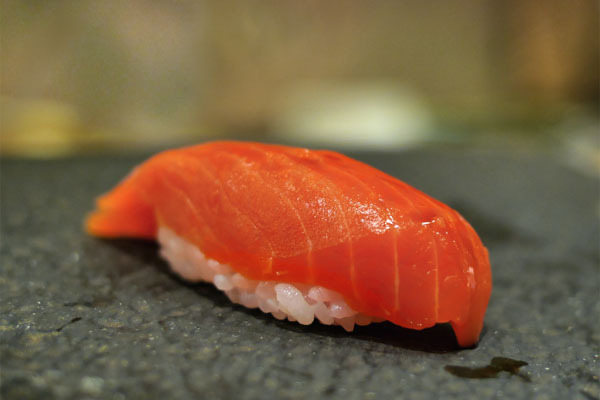 Sockeye was a deep shade of orange, a fatty, luxuriant cut of salmon that really called for the application of murasaki. 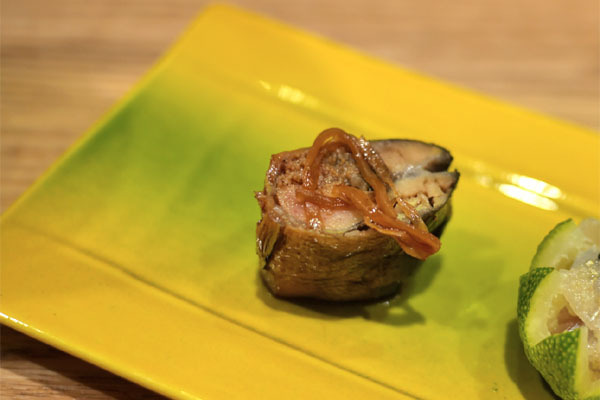 The vaunted mackerel from the town of Saganoseki was thoughtfully presented here, giving up a refined sort of brininess paired with an apparent sweetness that really was quite fetching. Excellent wasabi finish here, too. 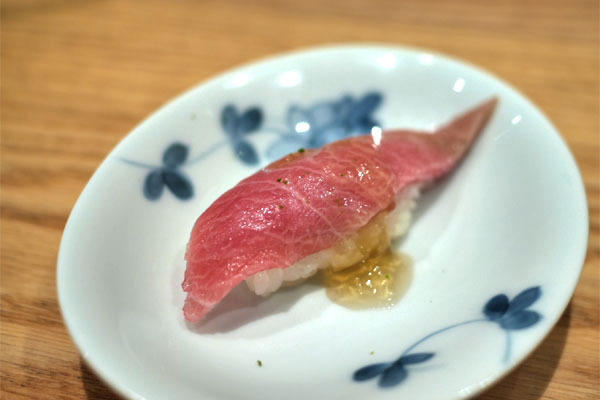 A beautifully-veined slab of bluefin toro arrived dressed in dashi jelly, the super fatty fish deftly paired with the umami-rich relish of its accoutrement, a sprinkle of yuzu adding an exclamation point to the dish. 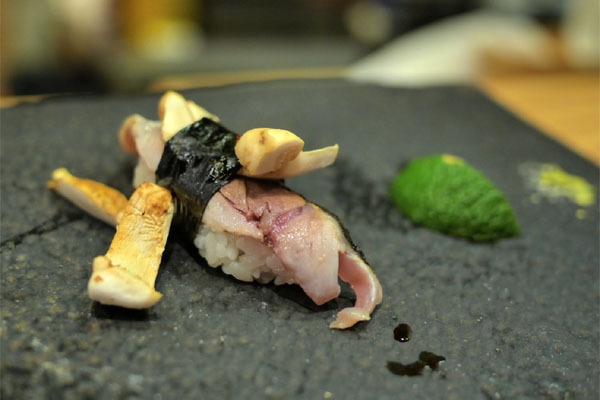 Mackerel pike announced the arrival of autumn, a salty, full-flavored fish that ate superbly with the smoky, earthy taste of matsutake, a squirt of citrus lightening the whole course. 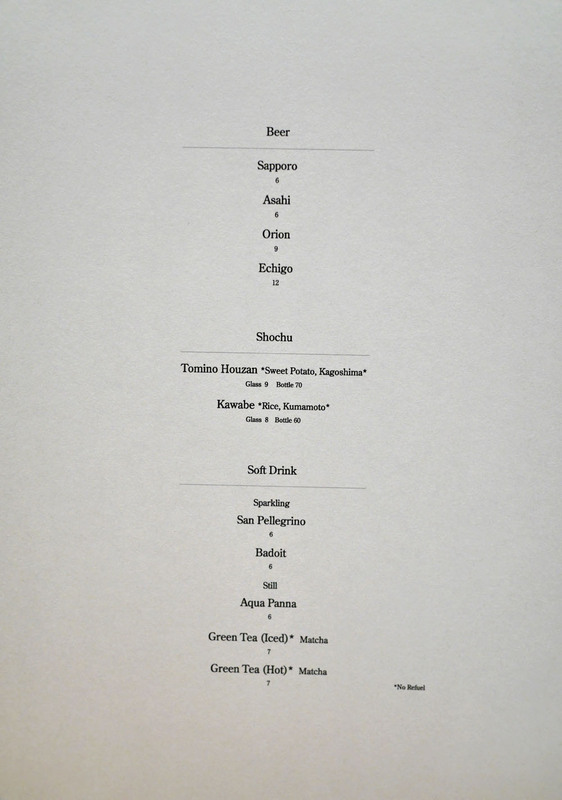 With the wine all drunk up, we opted for a bottle of the Tengumai, Junmai, Ishikawa [$60] from producer Shata Shuzo. 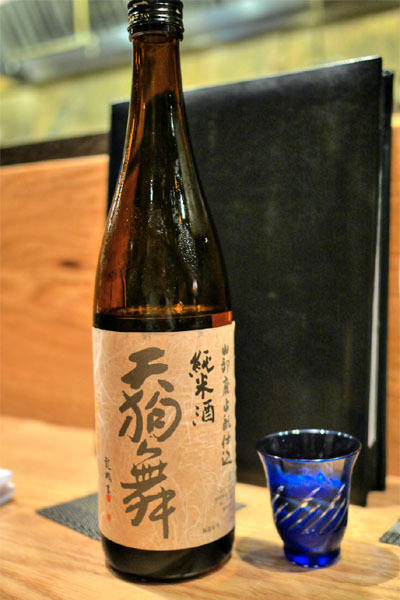 A 60% seimaibuai sake, this was a fairly hefty drink, with an earthy-ricey quality to it complemented by a backbone of acidity and booziness. Pretty tasty, and a good match to the food. 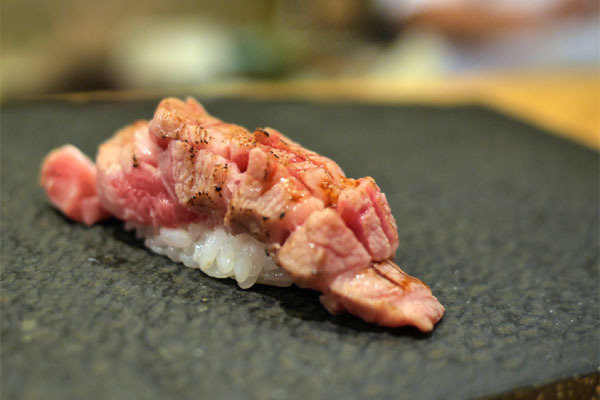 Cooked rare, wagyu from Miyazaki prefecture was an indulgence, with its intense marbling making for a gelatinous, fatty, oil-oozing eating experience. 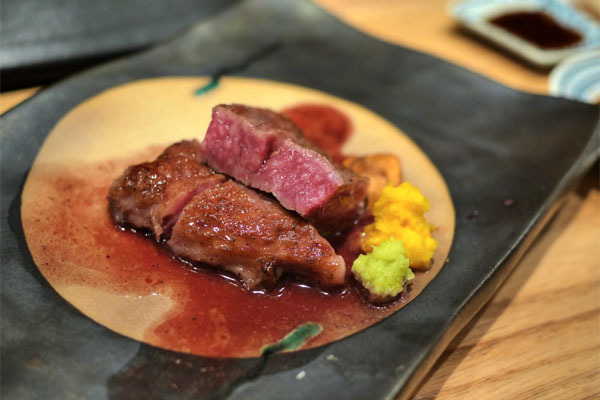 The great char on the steak served as a suitable counterpoint to the meat's lushness, and crispy garlic, radish, and wasabi performed admirably as well. A doozy for sure. 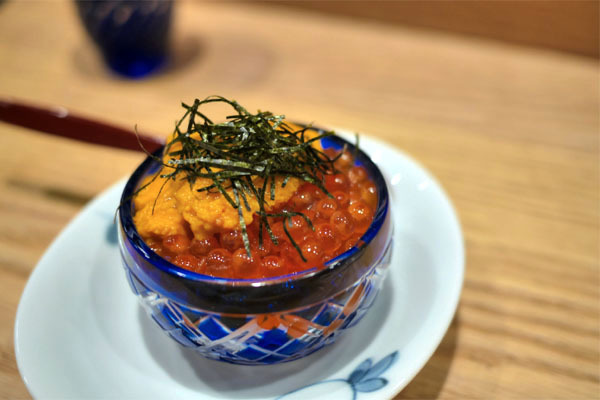 Alaskan ikura and Santa Barbara uni combined for some roe-on-roe action, an amalgam of creamy and sharp salinities tempered by the dish's base of white rice. 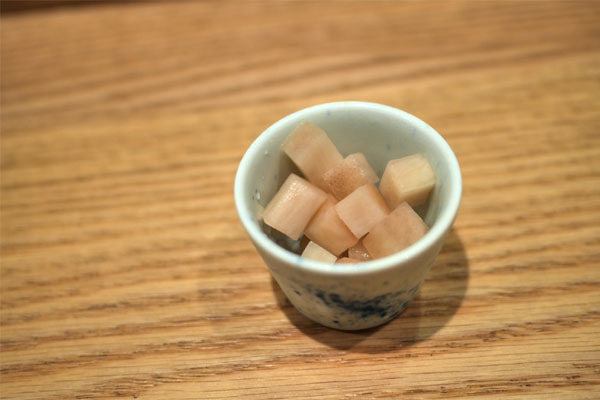 Up next was a new taste for me (as well as for Jonathan Gold, who was dining at the restaurant this same evening): fried sea cucumber roe. It was as salty as you'd expect, long-lingeringly so actually, and had a somewhat chewy bite to it. One of my dining companions even likened the delicacy to "seafood beef jerky." Now we come to the most decadent dish of the night, a palate-coating explosion of fat-char-oil-fish that was thankfully taken down a notch by the presence of rice. Damn. 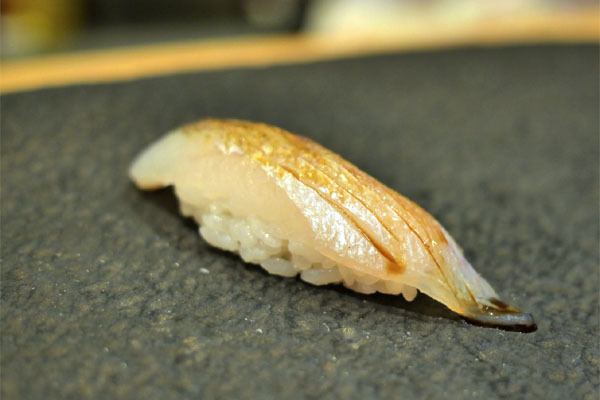 Sea bass was done in kobujime fashion, a sticky, dense piece of nigiri that showed off a concentrated flavor profile thanks to its kelp treatment. 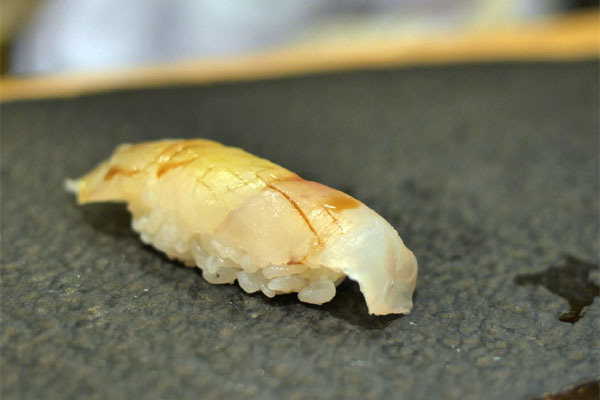 Amaebi was just what you'd want: crisp, snappy, springy, and utterly clean. 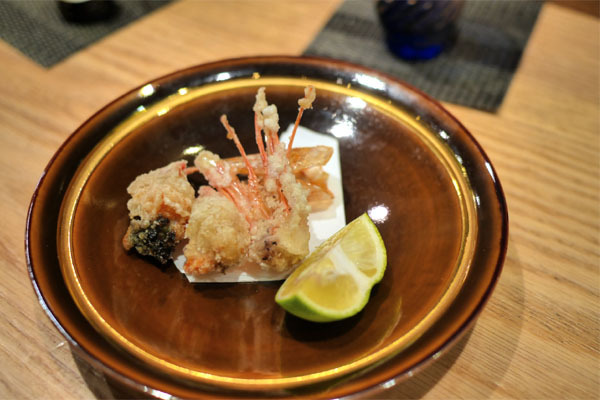 The shrimp heads, though, might've been even better, fried perfectly crisp here and great with a squeeze of citrus. 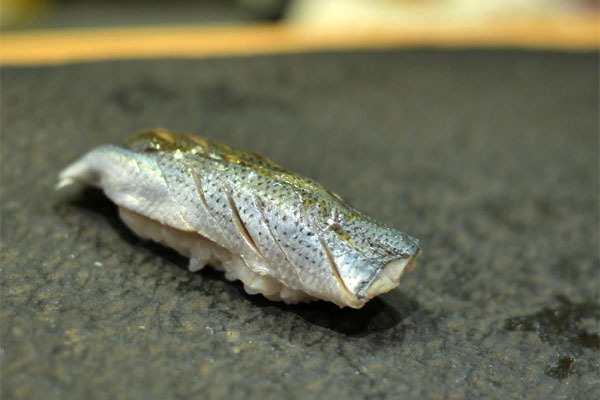 Sea bream from Akashi city was accompanied by sea salt and yuzu, a classic, yet unabashedly effective presentation that highlighted the subtle sweetness of the fish. 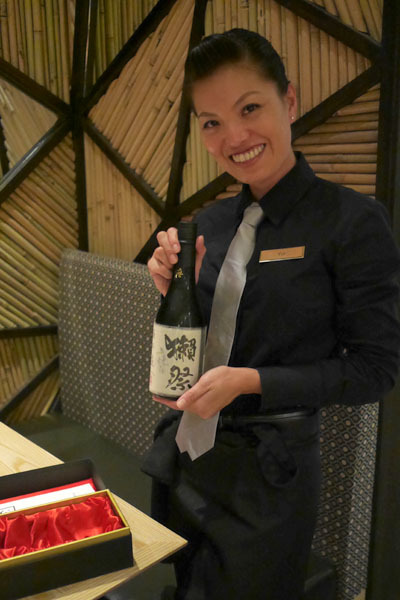 Yui Kumamoto, Tsujita's lovely Store Manager, shows off a bottle of the Dassai Beyond junmai daiginjo, easily the priciest sake I'd ever laid eyes on. 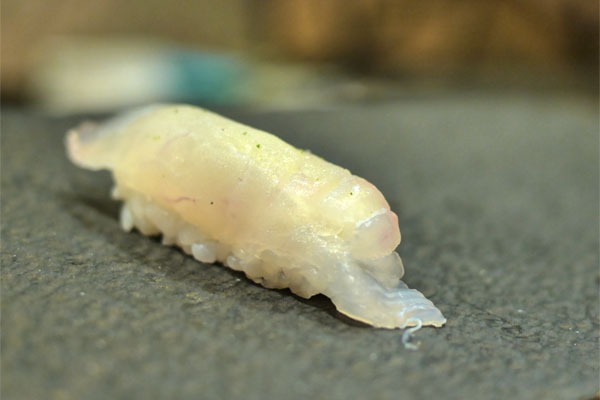 Japanese spear squid was sticky and sweet, its delicate disposition taken up a notch by a forceful presentation of wasabi. Gizzard shad had a gorgeously silvery skin and a firm bite, its signature saltiness modulated by the rice. Japanese whiting, meanwhile, was subtle in terms of taste, so this one was all about the texture for me: delightfully crisp and satisfying. 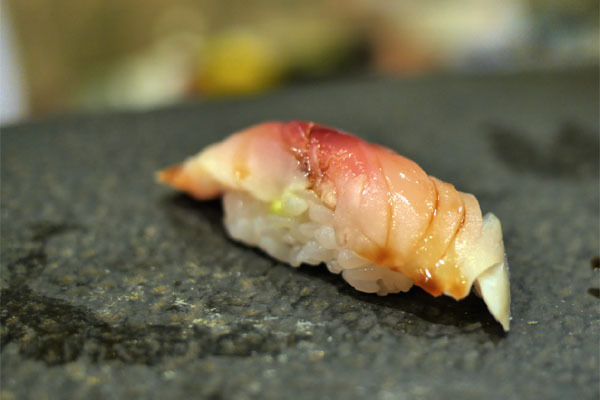 Another first for me was the use of myoga on sushi. I found that it worked surprisingly well, with the ginger's piquant-sweet notes having a good back-and-forth with the shari here. 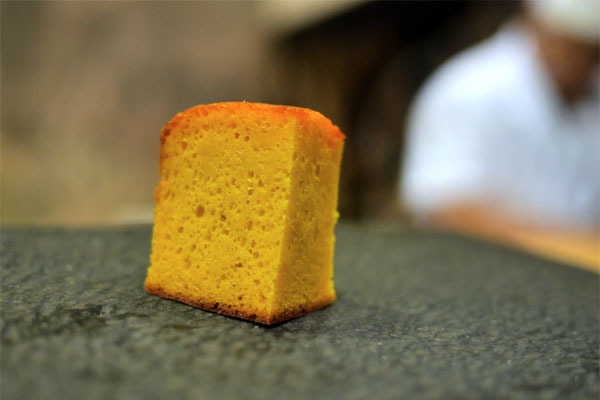 And now, the traditional closers of tamago-anago. First up was the kasutera-style tamagoyaki, which had a dense, but not overly dense consistency to it. Taste-wise, you got an egginess up front, undercut by a sweetness, with the finish imbued with a noticeable brine. Very nice. 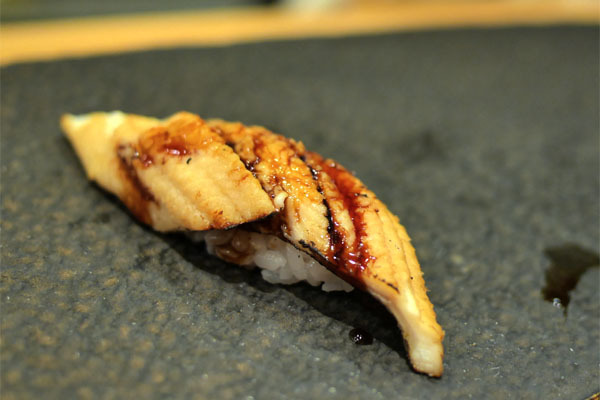 Finally, sea eel was one of the best I've tried, a satisfyingly meaty version that conveyed a flawless balance of savory, sweet, and char nuances. Kaz-san was quite the affable sushi chef. 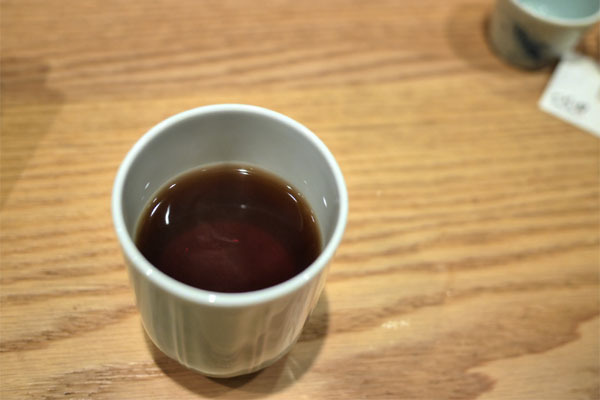 To go with the desserts: a hot, roasty cup of hojicha, natch. 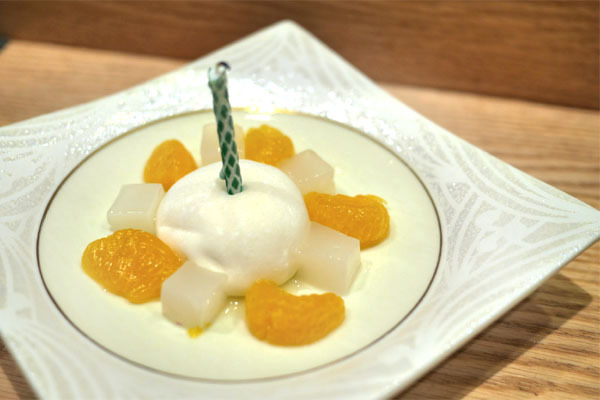 Since it was my birthday, Yui-san cobbled together a fun little "birthday cake" comprising vanilla mochi, lychee(?) jelly, and mandarin. Dessert proper featured super sweet, super juicy honeydew with some sort of fruit compote, a refreshing end to the meal to be sure. 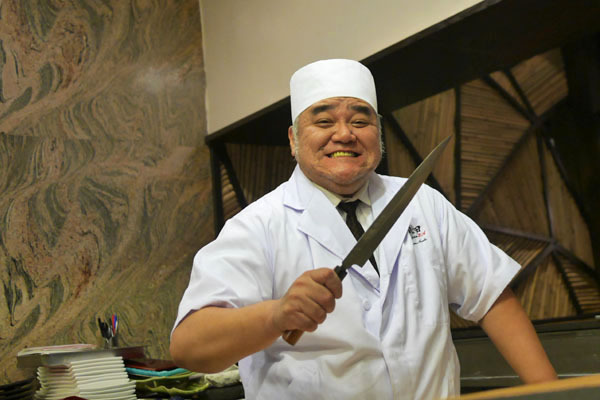 Head chef Kato-san sees us off at the end of the evening. I was a bit skeptical about Sushi Tsujita at first given how the place came to fruition, but this was a mighty fine meal, mighty fine. I appreciated the variety and of course the quality of ingredients here, and there was a focus, a precision that I really enjoyed. 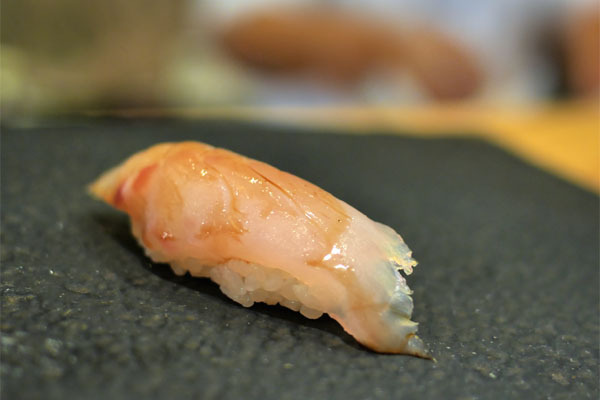 The cooked dishes were pretty much spot on, and the nigiri laudable as well, with a good selection of neta and well-textured, semi-loose, semi-warm rice. 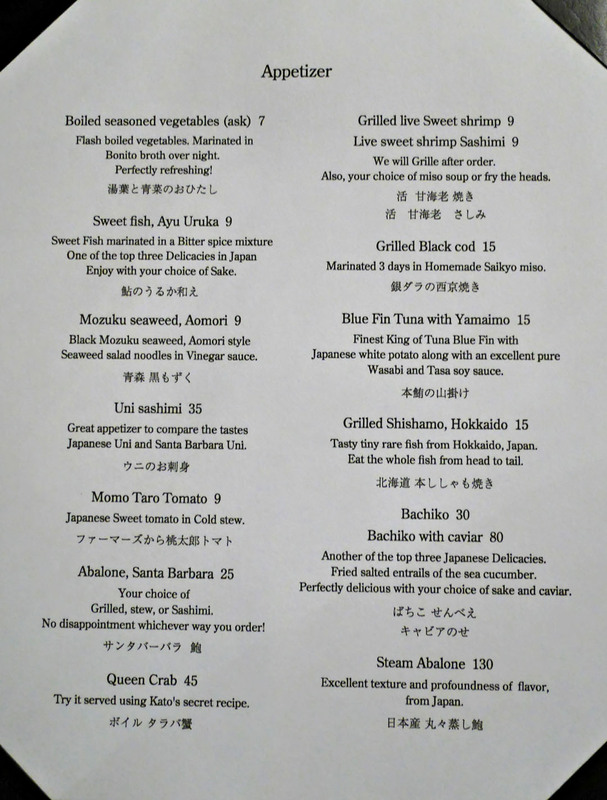 I have no doubt that Tsujita belongs in the top tier of LA sushiya, so for all you sushi lovers out there, you now have a new gotta-try spot. Their lunch chirashi/sashimi bowls are quite good too. the beyond is a nice sake. I don't think it's that much nicer than the 23 though. 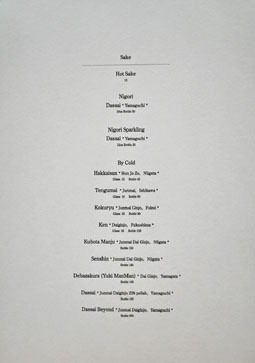 I wish Dassai would give some more information on it to see why it justifies the price. I've had them side by side twice and both times I thought they were pretty neck and neck. Peter: Yeah, I was actually sort of adamant about *not* trying it out when I first heard about the place. Really glad I did though. 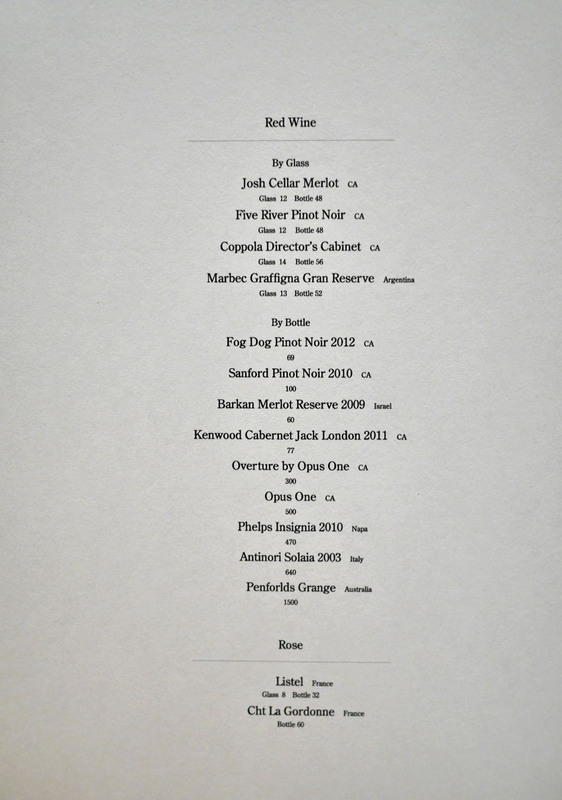 Nick: Thanks; my birthday dinner was very belated indeed (~3 months).